Scott Dietz has been an employee at Roy O'Brien Ford for 23 years. He started apprenticing with us in 1994, and worked his way up to a Technician. Today, we are proud to see Scott presented with the status of a Senior Master Technician. 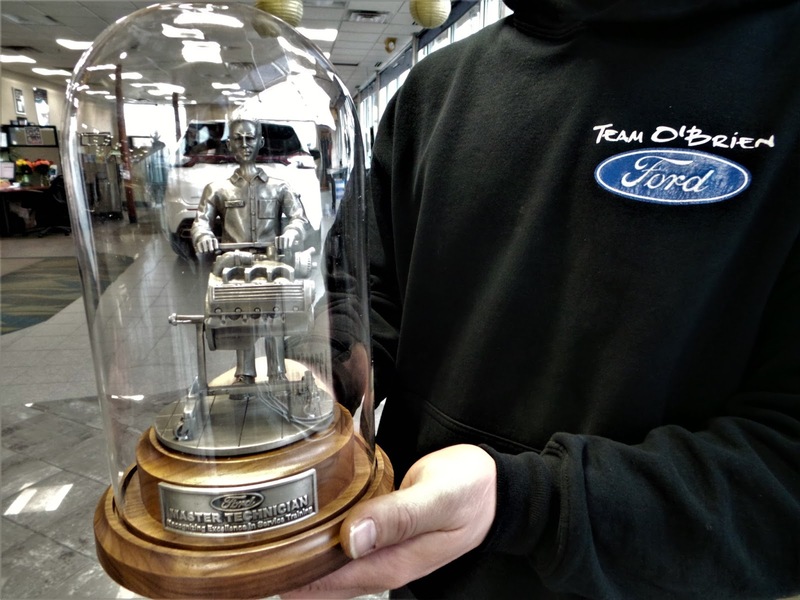 This is the highest achievement that can be earned for Technicians through Ford Motor Company. In order to receive this status, Scott has invested over 550 hours of his personal time to do training. He now belongs to an elite group of 309 Senior Master Technicians in the Metro Detroit region. The next time that you come into our Service Department, you can feel confident in having your vehicle repaired by Scott Dietz. He has the knowledge and ability to provide you with excellent service. Congratulations on all of your hard work, Scott!